Ilan joined CheckAlt as its president in April 2016. Previously, Ilan was Chief Executive Officer of FieldOne Systems for approximately 7 years, and led its sale to Microsoft in July 2015. Ilan brings 25 years' experience helping to finance and grow businesses into large companies, both public and private. 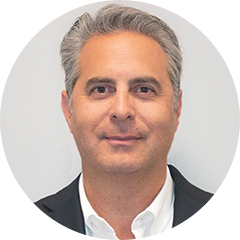 Ilan was the co-founder and President of Ad.Venture Partners, Inc. and also served as Vice Chairman and a Managing Member of Innovation Interactive, LLC, an interactive digital marketing company. Previously, Ilan was Chief Financial Officer at Net2phone, Inc, and helped grow the company from startup to $160 million in annual revenue. While at Net2Phone, Ilan raised hundreds of millions of dollars in capital, both private and public, and helped engineer a strategic change of control investment by AT&T for $1.4 billion. Prior to his employment with Net2Phone, Inc., Ilan was employed by IDT Corp. as Executive Vice president of Finance. Ilan also worked for Merrill Lynch from 1992 to 1995.